Karuppu is a dance-drama representation of the movement of the ultimate Purusha and Prakriti energies through the birth, destruction and rebirth of the universe. It is a theatrical experience of the separation of Purusha from Prakriti that destroys the universe; however the destruction is not permanent, as nothing is. 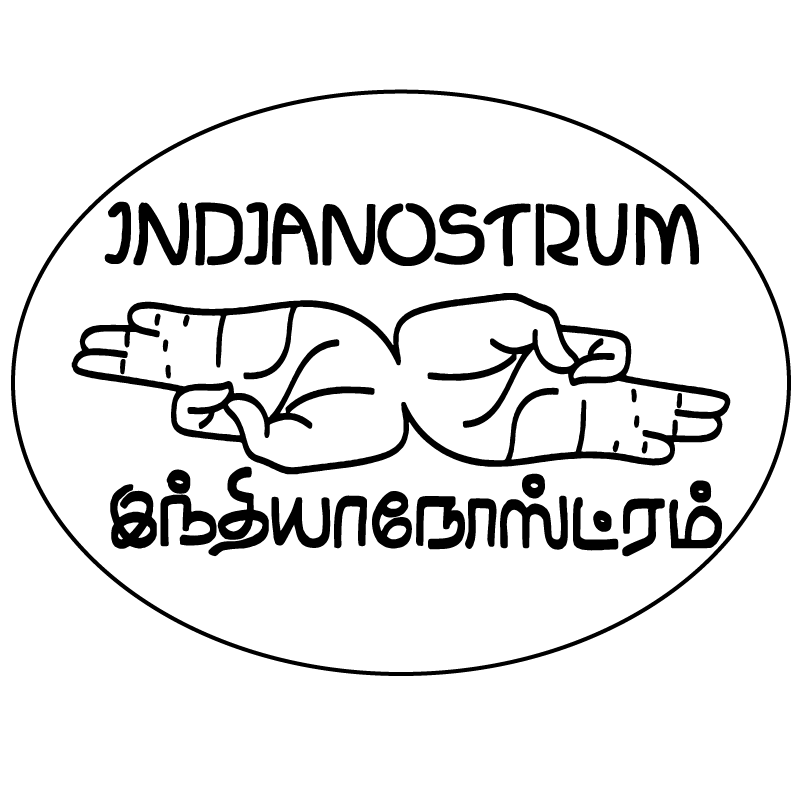 Only in the powerful destruction of the world and all its constituent materials and forms by Karuppu (Dark) energy is the reunion of Consciousness and Nature possible giving rebirth to all of existence. 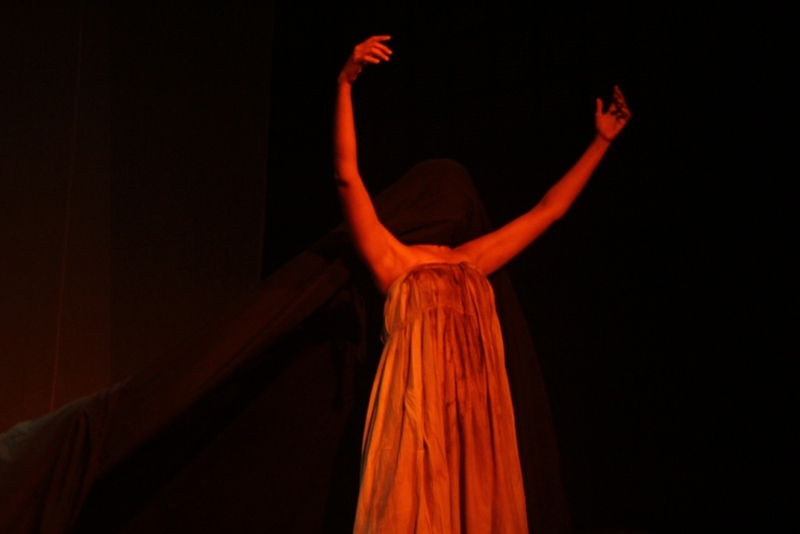 In this dance theatre performance we make and break the bonds that unite Purusha (the man) and Prakriti (the woman) through mythical characters including Iphigenie, Ophelia, Clytemnestre, Medea and Kali. Karuppu- is the black spot that we put on the cheek of a newborn. . .
Karuppu- is also a word without God, without the creator, without the paternal gure omnipresent where the man alone in the face of his destiny, learns to tame the dark forces. 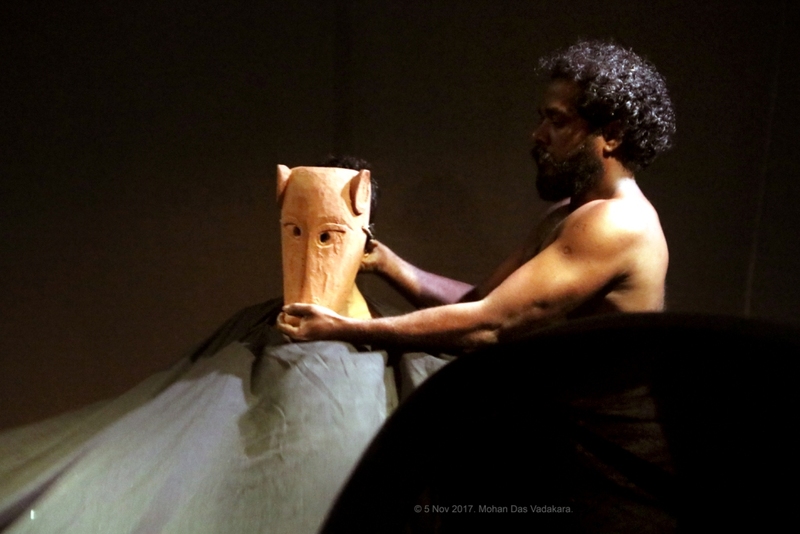 A dream to do a play based on Dravidian and other similar cultural rituals has been following us for many years. These rituals of thousands of years of age stand like a dense forest with their roots deeply penetrated in the lives and lands of people. 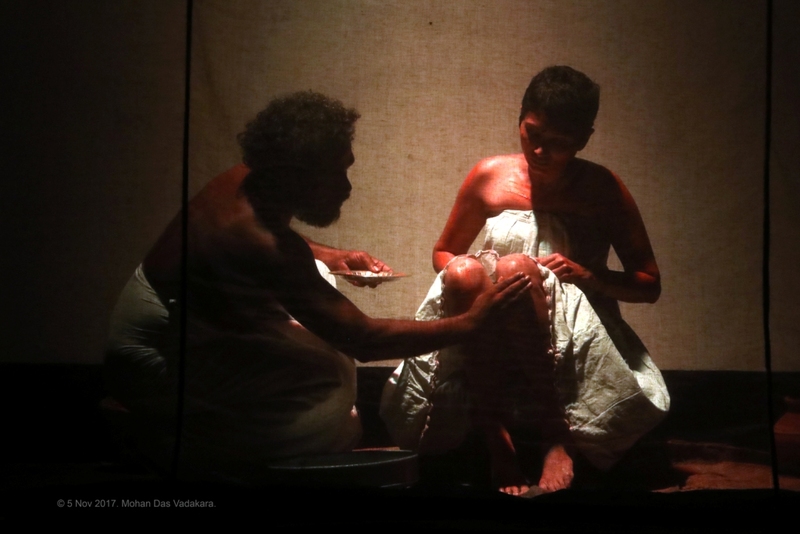 To understand it in the wider context of the universe encompassing Prakriti and Purusha, the female and the male energies, we decided to take a travel to the roots, through “Karuppu” (Dark). The process of travel was a diligent search, without noise, with scrupulous attention to the voices of the characters echoing in the depth, allowing bodies to dissolve in it. The deeper the travel went, the more it opened up the imbalances within the individuals, the actors and within the story-scape itself. The play depicts a universe absorbing all imbalances making itself a black hole from which rebirth of everything anew is possible. Jean - Jacques Lemetre, Requiem’ by Mozart, Tribal Oppari,Tibetan ritual music,‘The rite of spring’ by Igor Stravinsky,‘Therenody for the Victims of Hiroshima’ by Krzysztof Penderecki.